There’s nothing simple when it comes to the Germans updating their cars. Case in point is this Audi Q5 with five new engines and three new transmission options that is said to be 15% more efficient. 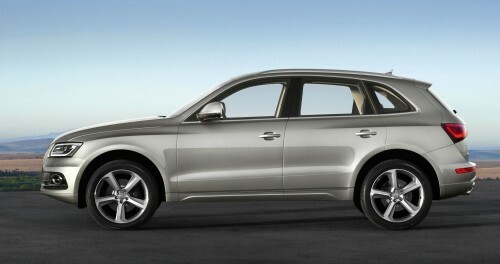 The Q5 also gets a hybrid version as well. So let’s get to the specs. Of the five engines, three are TDI and two are TFSI engines. The TDI starts with the 2.0 litre diesel engine that is tuned in two different frequencies. The first plays to 143 hp and 320 Nm torque, consumes 5.3 l/100km and emits 139 g/km of CO2. The other tune gets the engine up to 177 hp, 380 Nm torque and drinks 6.0 l/100km. The topline diesel is a 3.0 litre V6 engine that delivers 245 hp and 580 Nm torque. This Q5 configuration can go from zero to 100 km/h in 6.5 seconds and has a top speed of 225 km/h. It sips just 6.4 l/100km. The TFSI petrol engine gets two versions. The first is the 2.0 litre petrol that outputs 225 hp, 350 Nm torque and drinks up 7.6 l/100km. Just as its diesel counterpart, the petrol’s top range engine is a 3.0 litre V6 that produces 272 hp and 400 Nm torque. It completes the century sprint in 5.9 seconds and maxes out at 234 km/h. Fuel consumptions clocks in at 8.5 l/100km. Except for the 2.0 TDI, which is front-wheel driven, the rest of the pack comes with quattro. As for transmission choices, there are three. The 2.0 litre TFSI comes with a six-speed manual as standard, with the eight-speed tiptronic as option. The 3.0 litre V6 TFSI gets the eight-speeder as standard. As for the seven-speed S tronic, the 3.0 TDI gets it as standard and it is optional with the 177 hp 2.0 TDI. The Q5 also gets the honor of wearing the company’s first hybrid suit. Audi takes the 2.0 TFSI with 211 hp and 350 Nm and sticks it an electric motor that outputs 54 hp and 210 Nm. Together, they can generate 245 hp and 480 torque. The Q5 hybrid sprints to 100km/h in 7.1 seconds and has a top speed of 225 km/h. When taking energy only from the 1.3 kWH lithium-ion battery, the Q5 hybrid has a range of up to three kilometres when travelling at a constant 60 km/h. The top speed in this mode is 100 km/h, which if you go faster will kick the petrol engine back to life. Fuel consumption is 6.9 l/100km. The hybrid engine is paired with a modified eight-speed tiptronic that transfers power through the electric motor (combined with a multi-plate clutch) in place of the torque converter. There are three drive modes – EV for pure electric, D mode efficiently uses the engine and motor, and S that cares only in giving you a sporty drive. 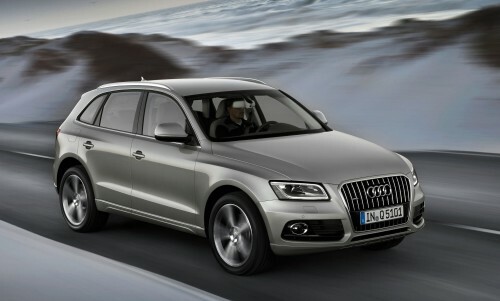 The update also involves a slight design change; the Q5 now wears the new single-frame grille with beveled upper edges. Front bumpers are also modified to integrate air inlets with high-gloss black inserts and fog lights with chrome rings. As for the rear, the diffuser insert and the tailpipes gets redrawn. It now has two versions, depending on the engine. The LED daytime running lights, which are optional with the xenon plus lights, are now shaped as curved bands that surround the headlights. At the back, the LED tails lights are laid out uniformly. The interior design has also been cleaned up to reflect the new Q-specific styling. Ergonomics are further dialed in, the MMI navigation plus now has four buttons with its volume dial has an additional skip function. Bang & Olufsen supplies the sounds and is hooked up to the MMI navigation plus which has a hard drive, seven-inch colour monitor, 3D graphics and DVD player. The unit integrates WLAN into its system and brings the Audi connect online services into the car; Google Point of Interest, Google Earth and Google Street View are on tap for the driver. The system also allows the driver to stream more than 5,000 Internet radio stations. Prices, when it arrives in European showrooms in the middle of the year, will start from 39,990 euros. 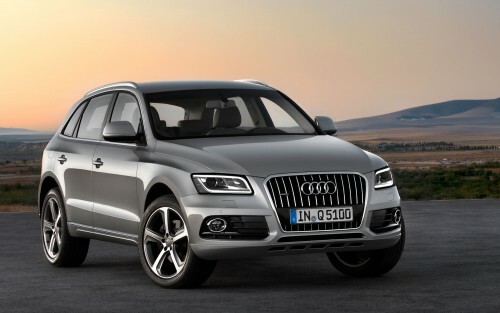 Audi says that the price of the Audi Q5 has barely increased, in spite of the upgrades and new features. I always wonder how do they measure this percentage: 15% more efficient. Compared to which version of the transmission? from the original version of car or the previous version of the car? Car manufacturers always give a certain percentage of fuel efficiency, but they seldomly quote which version of car they are comparing it with. Asian car manufacturers need to learn from the european counterparts what it meant by facelift, ie. beyond the change of grille, bumpers and cluster lamps! 2.0 engine hybrid? Well that qualifies for the tax exemption! Looks good though on the inside and outside comparing to the previous Q5. The hybrid version is using 2.0 engine means it will get the duty exemption from our G. I should wait for this to come to our local market before placing my booking for CX5 or sportage.. hope the price will be around 190-200k? too good to be true? Too good to be true! I was also looking @ the CX-5. It sure has a lot of kit on it. Any idea when Euromobil will bring in the hybrid to Malaysia? This is the email reply I got from Euromobil regarding when they will bring in Q5 hybrid into Malaysia, dated April 16th, 2012. I originally posted it to Audi HQ website on Mar 21st, then I got the reply from Audi German immediately saying they forwarded the email, then almost 4 weeks later only Euromobil responded. Thank you for email regarding the Audi Q5 Hybrid. At the moment we have no plans to introduce the Hybrid variant of Q5 in Malaysia due to various restrictions at our side here. We will definitely keep you posted if there is any new development and should you require further information please do not hesitate to contact us at Audi Glenmarie. If more people are talking about this hybrid then Audi will surely bring it in. Who doesn’t want sales/business? of course they like to bring in, but perhaps the AP quota is preventing this…. 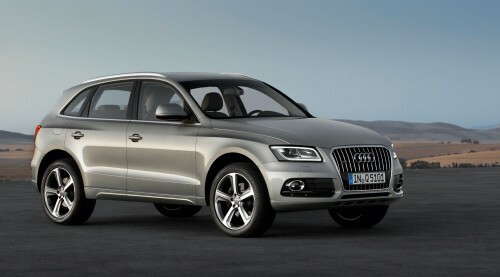 Any news on when the 2013 Q5 will land in our shores? now u have A6 hybrid here in bolehland!! 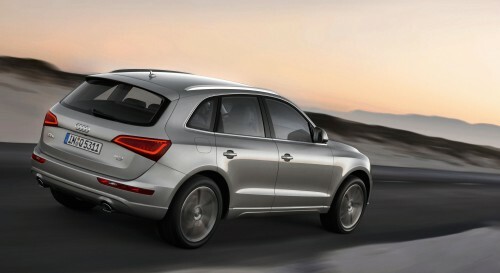 May I know is there any news when is 2013 Q5 coming in Malaysia? And also what are the specs different compare to current Q5? 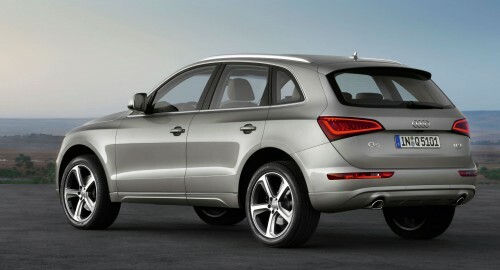 Paul, when is the facelifted Q5 going to reach malaysia? and do you really think the price wont be much of a difference? and will the specs be better?